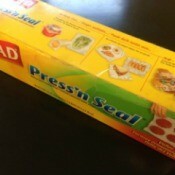 Uses for Glad Press'n Seal WrapPress'n Seal can be very a very useful variation of regular Saran Wrap. 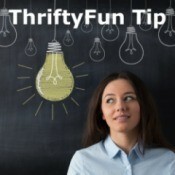 Once you start using it, it is easy to find many uses for glad Press'n Seal wrap. 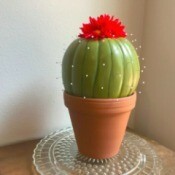 Making a Foam Pumpkin Faux CactusThis attractive faux cactus begins with a foam pumpkin. Add some paint, flowers, and large headed pins and you too can make a personalized floral decoration for your home or to give as a gift. 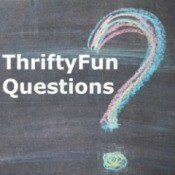 This is a guide about making a foam pumpkin faux cactus. Protect Your Seedlings Against FrostIf you have some plants that need protecting from frost, use a clay pot over the top of your seedling. Plastic bottles will work as well. Be sure to remove them so your plant can get the sun the next day. Foam Pumpkin Faux CactusWho would guess that this awesome cactus is actually made out of a foam pumpkin? 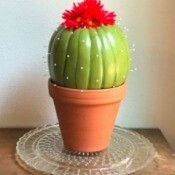 With a few simple supplies, you can make this faux cactus to enjoy all year! 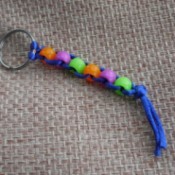 Beaded Key RingBeaded key rings are easy to make and make a great gift. You can make them for bazaars, craft stalls, or charity sales too and if you choose bright colours they will attract people to your stall. You can also add more strings of beads and use this as a handbag charm. Getting Rid of Roaches in My HomeWhat are some home remedies to get rid of roaches in my home? Fixing Keys on an Electric TypewriterMy "E" and "X" keys do not work. How can I fix those on my Smith Corona 220 automatic electric typewriter? Value of 1901 Appleton's EncyclopediaWhat is the value of a set of Appleton's encyclopedias dated 1901?